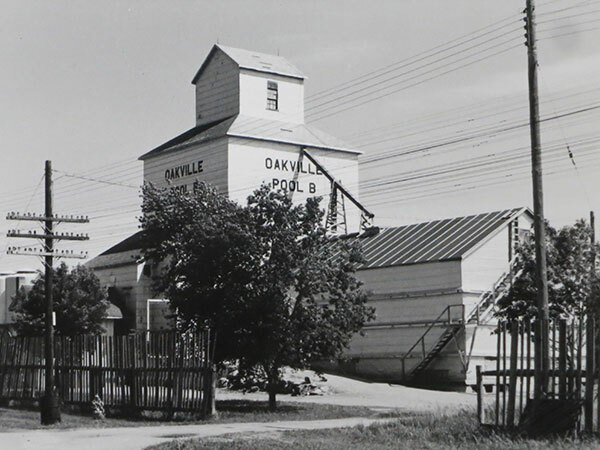 A 32,000-bushel wooden grain elevator on a farm in the Rural Municipality of Portage la Prairie was built at Oakville in 1918 by Ogilvie Flour Mills. 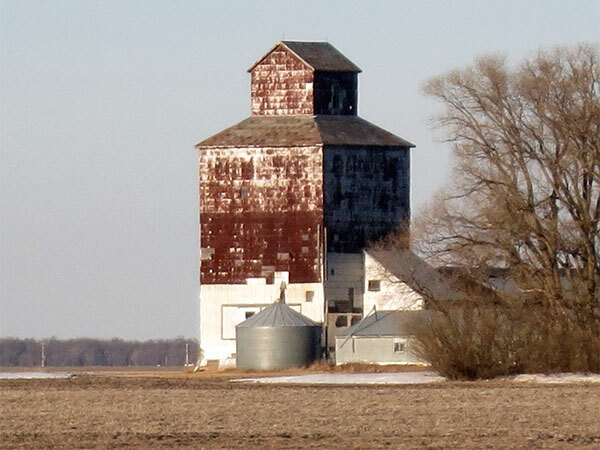 An annex was built beside it in 1951, increasing its total capacity to 62,000 bushels. 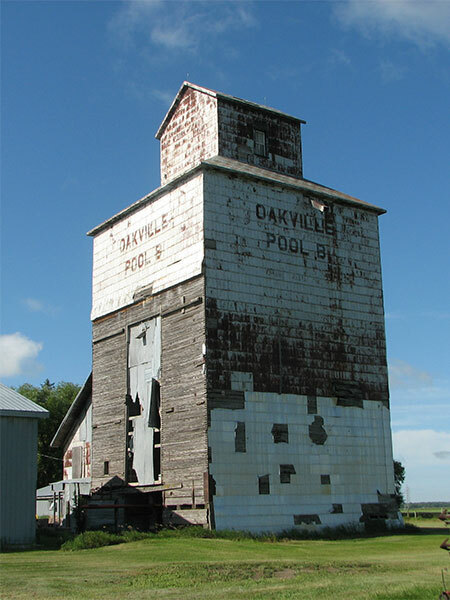 Sold around 1960 to Manitoba Pool Elevators, it became known as "Pool B" at this site. The elevator operated with its own agent until 1972 and was closed in 1975. 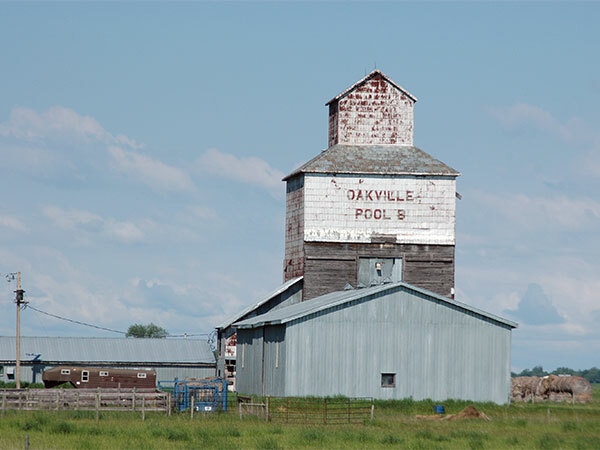 The building was moved about two miles east of Oakville where it is used for private grain storage. It was demolished in March 2019. Source: Archives of Manitoba, Architectural Survey - Rural, Oakville 6. This page was prepared by Gordon Goldsborough, Morgan Turney, and Bernie Freeman.